Another weekend closer to finishing Round Two for Sick Kid. It was a toss-up between heading up to Mullardoch for the two she has left there or doing something closer to home and (hopefully) allowing her back to recover a bit more. 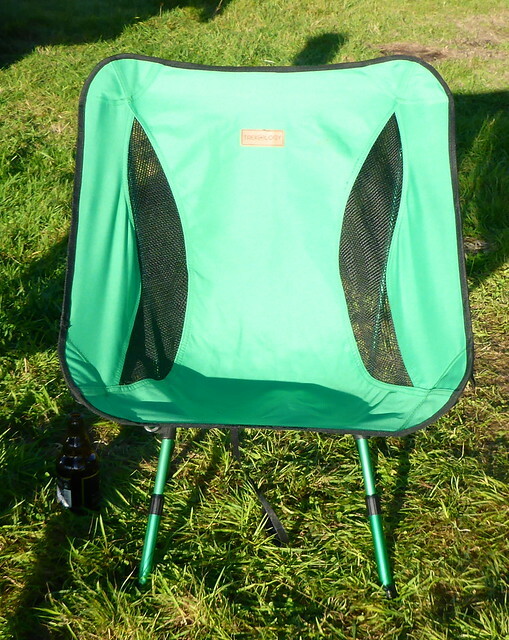 So it meant campsites (I haven't really got my head around wildcamp spots around Tyndrum) - we opted for the Wigwams at Strathfillan with some reservations - mainly the risk of noisy weekend party animals. Headed up on Thursday as usual, but had time when we arrived to make a proper meal, rather than the sandwiches that have become Thursday tea-time staples. And a bottle of high potency Belgian beer from Lidl... 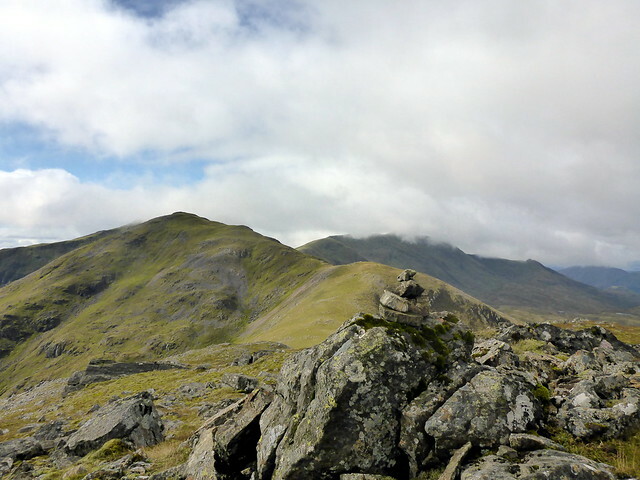 The forecast had suggested Saturday would be the best day, so we opted for Beinn Eunaich & Beinn a'Chochuill for Friday. 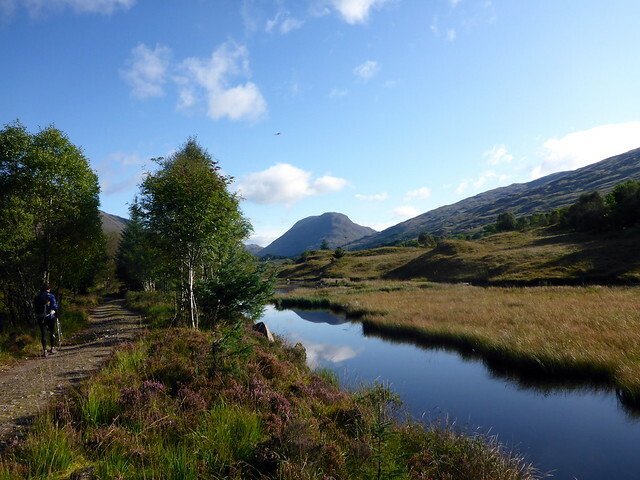 Rather than the usual route, I'd elected to head up through Glen Strae, following the "path" beside the Allt Dhoirrean and arriving at the two Sims to the east of Eunaich. 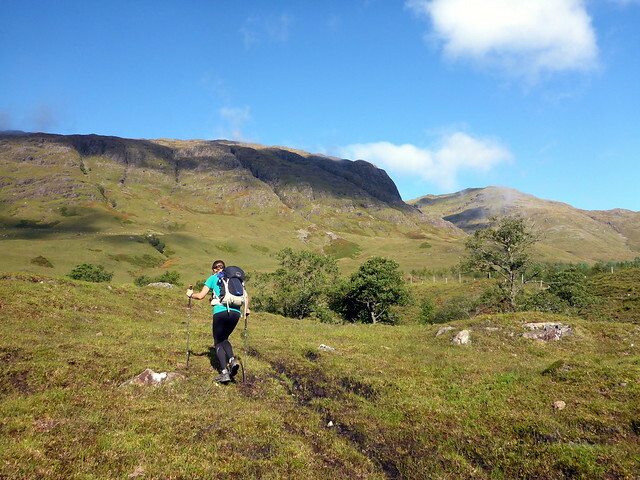 We'd used the path to the bealach to reach Beinn na Lus but I couldn't really remember what it was like. Friday started as a beautiful morning, not a ripple on the ponds used for duck "conservation" (ie shooting them from behind wicker hides). 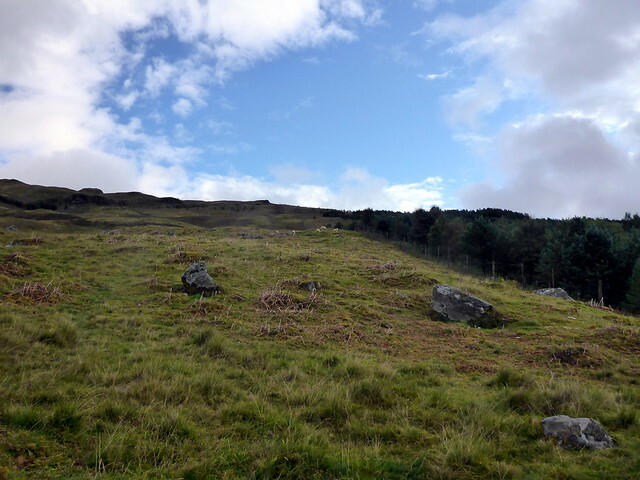 The path up the hillside started off boggy and often threatened to drop out of existence altogether. 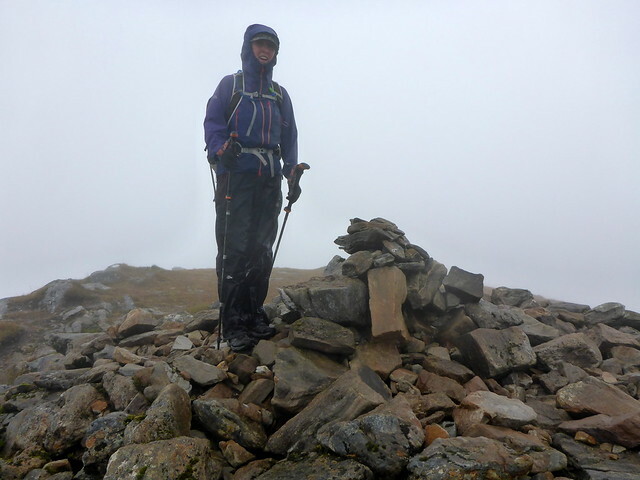 However, we made it to Lairig Dhoirrean, slowly and enjoyed the short climb up Meall Copagach. 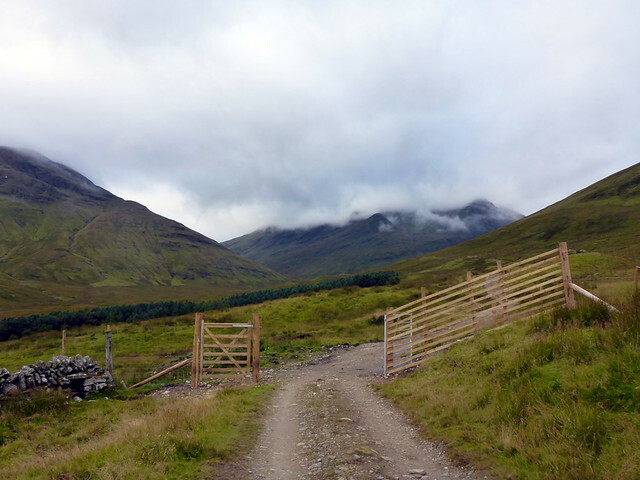 We could see cloud sitting stubbornly around 850m, obliterating the ridge from Eunaich to a'Chochuill. 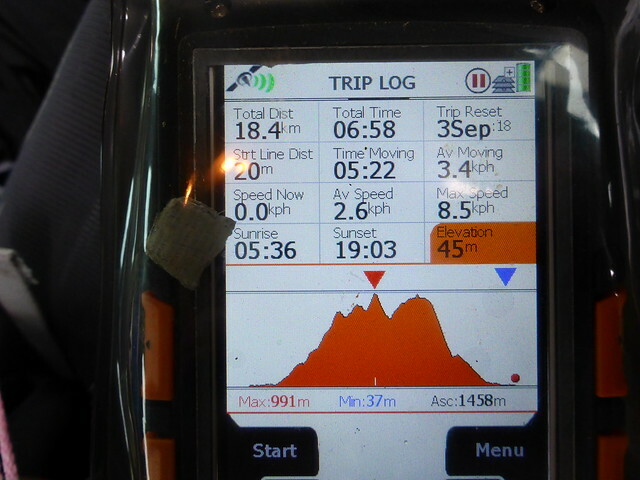 We pressed on, to the second Sim at 880m and found ourselves in a familiar world of wind and clag. Now that the sun was shut off from us it was also considerably chillier than a few minutes before. 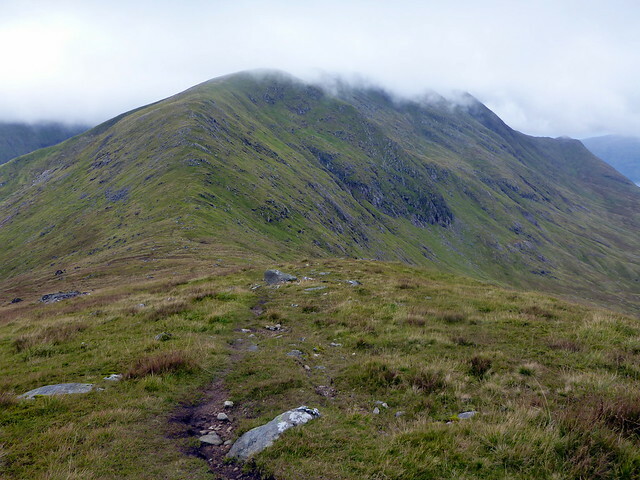 There's a path, probably animal, that follows the ridge round to the summit of Eunaich, avoiding any crags. 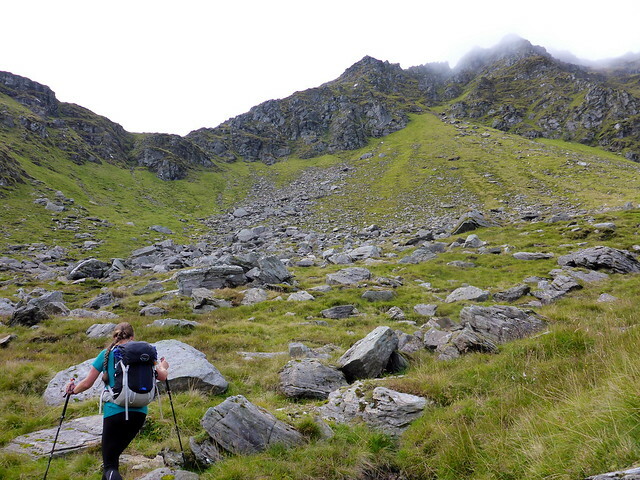 I initially led us off the south shoulder before correcting to the north-west one that leads to Beinn a'Chochuill. Well it was claggy. 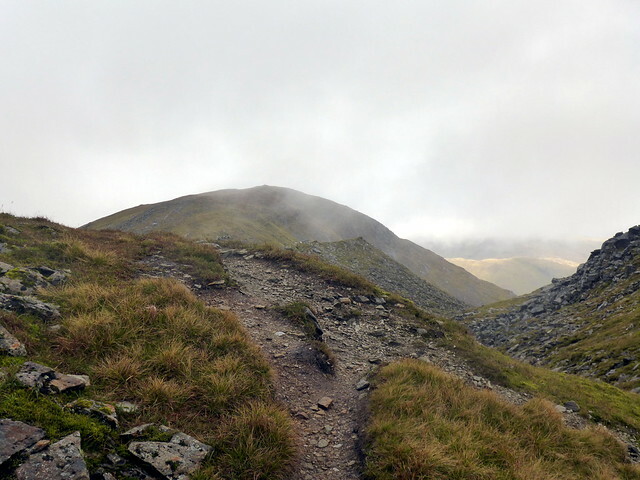 As we dropped towards Lairig Ianachain we slipped beneath the clag and could see where we were headed. We met a young American/German couple who had come from a'Chochuill and had waited 30 mins at the top to see if it would clear. They didn't fancy going up Eunaich if they were going to get the same views, although both were full of praise for the Scottish countryside. They had found the opening to a tunnel on the way up which had piqued their curiosity. We reckoned it was part of the Hydro works - it's only now, looking at the 1:25000 scale map that I can see the extent of it. 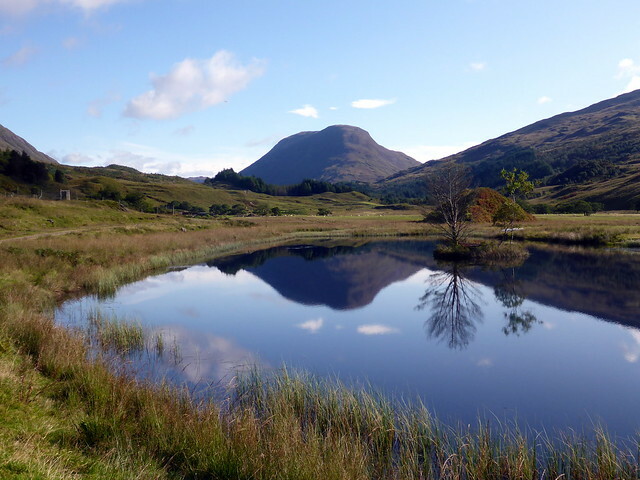 We passed on towards a'Chochuill, enjoying just the same views as we had from Eunaich. 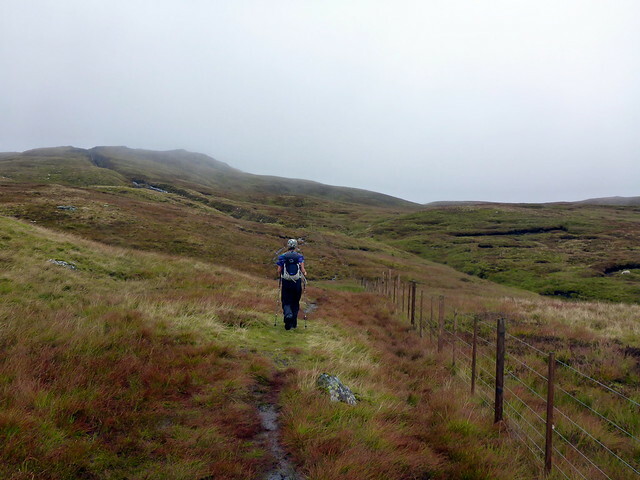 We descended by the standard route onto the Hydro track, where we met up with the couple again. Mildly surprised to find they'd driven their VW Caddy up to 350m and spent the previous night in it, they were now preparing to descend, having had another explore of the tunnel. We politely declined the offer of a lift I did look for signs stating the usual "no unauthorised vehicles past this point" but I didn't see one. We got down to the farm, and had another km or so to walk back to where we were parked at the start of the track to Duiletter Farm. We passed a garden with very red apples, which reminded me of my musings last week as to why there are not fruit trees planted along mountain walks. It would be convenient and refreshing to have a choice of fresh fruit to pluck from the trees as you amble along. I'd particularly like mangoes. Anyway, we came across the next best thing - loads of perfectly ripe brambles, purple-black and bursting with sweet juices. We ate some handfuls and took a bagful back to the car, to consume with apple pie and custard later on. 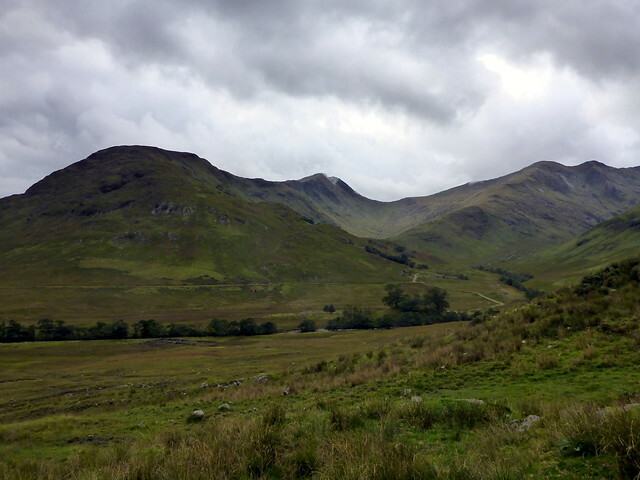 Dull, cloudy skies greeted us on Saturday. At least it was dry and not windy. It was time for teh Lui 4. 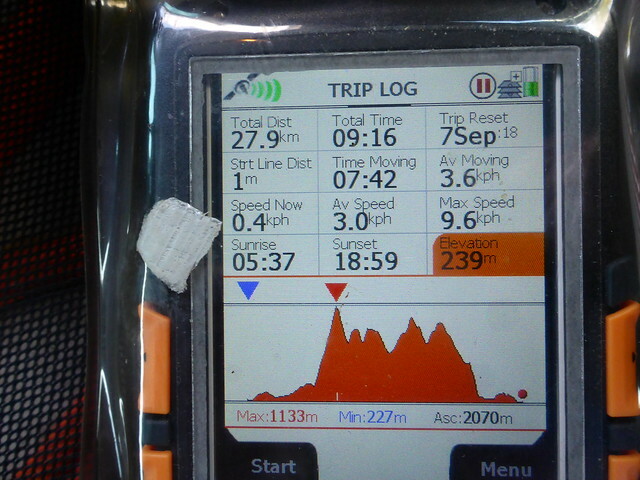 Now I have some trepidation about this lot of hills - the last twice I've been up there they have tried to kill me - one horrible winter experience which I documented in these pages back in Jan 2016 and again 8 months later when I fell and cracked my ribs. 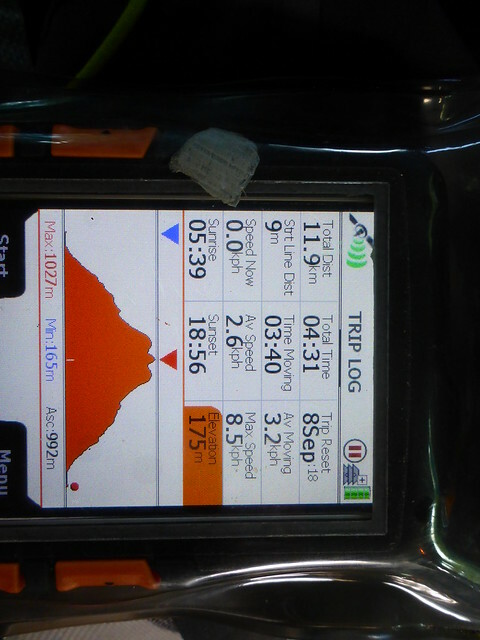 What would the Queen of the Mountains hold in store for me today? 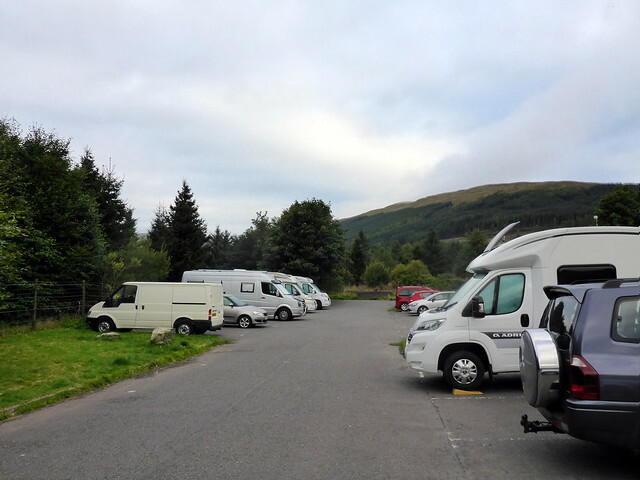 We parked at the visitor centre in Tyndrum, now rapidly becoming an informal campsite for motorhomes. Not content with snarling up the roads, these monstrosities now take up our parking areas, when there are two caravan sites within 500m of where they've beached themselves. 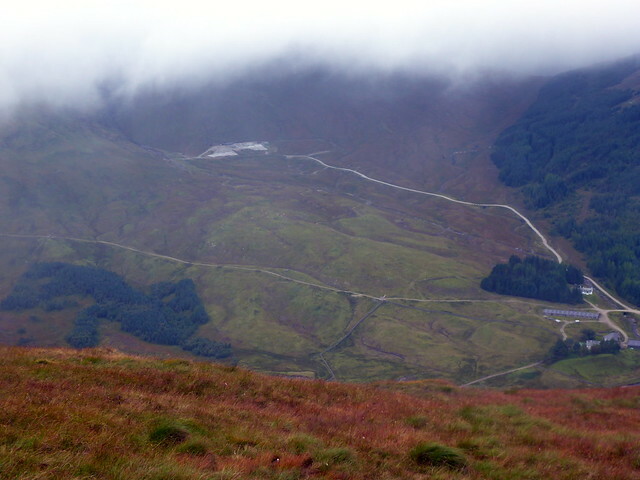 We walked along to Cononish, noting the goldmine workings have expanded since the last time we were here. 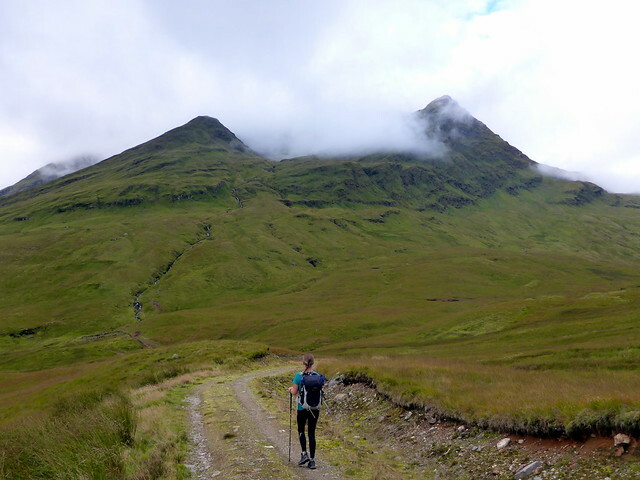 It occurred to me that there are lead mines on the opposite side of the mountain, and a gold mine on this side, so Beinn Chuirn is really a mountain alchemist? I wondered how often lead and gold are mined together, and found that the biggest goldmine in North America is in the city of Lead, SD. What do you do with that sort of information. 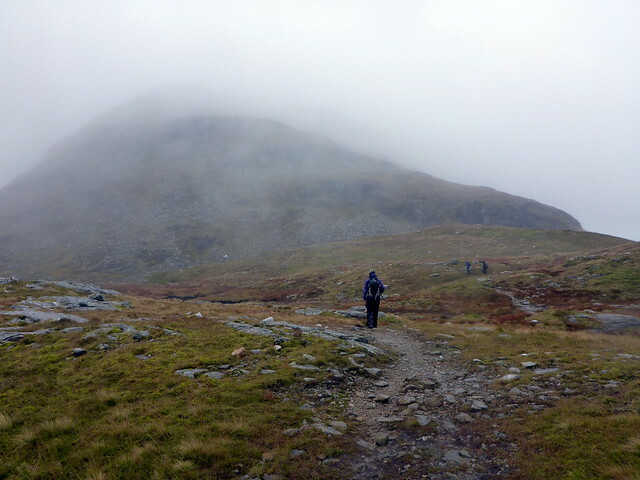 Next came a claggy walk to Beinn a'Chleibh where we paused for lunch and passed a few walkers. I pointed out to Allison various spots from my near-death encounter. 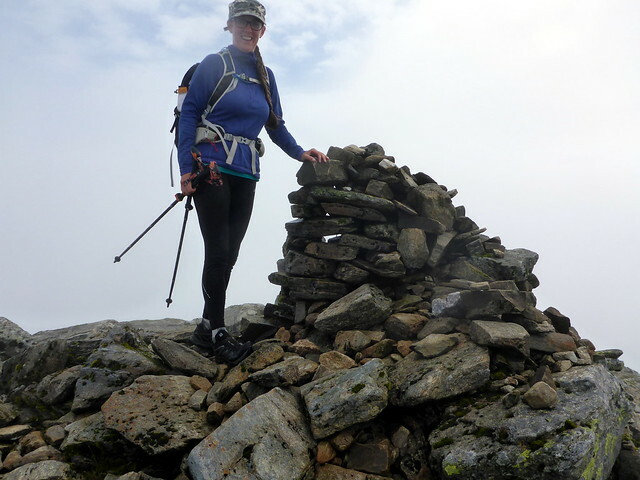 We climbed back up the slopes of Lui again to traverse round Coire Annaich (or the Valley of Death in my head) then had a skittery time navigating around the u-bend to Beinn Oss. 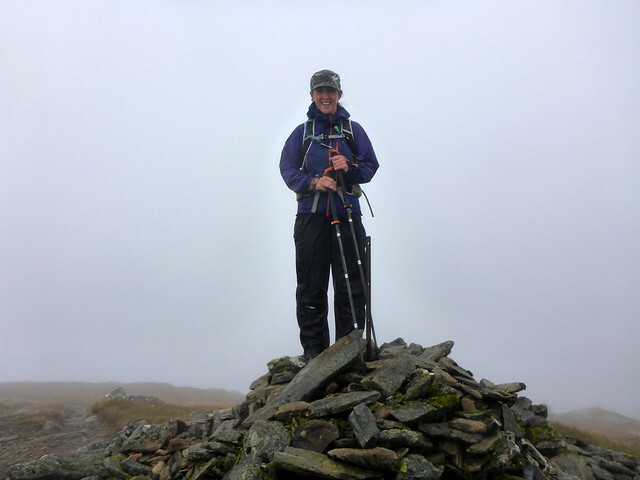 This was my 200th Munro of the year. 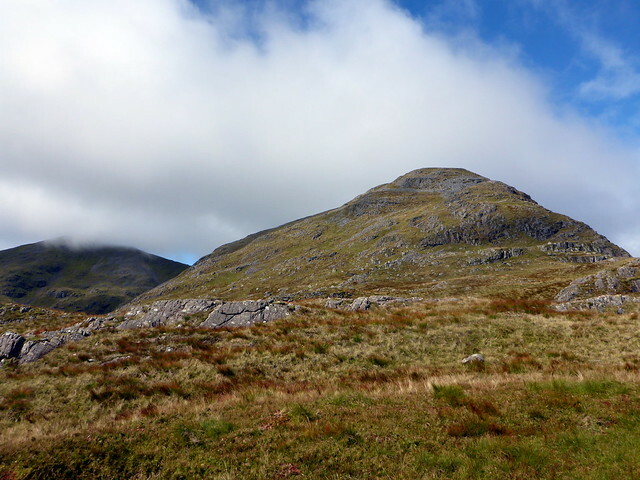 A mild lifting of clag on the way to Dubhchraig allowed us to see a little of the hillside. 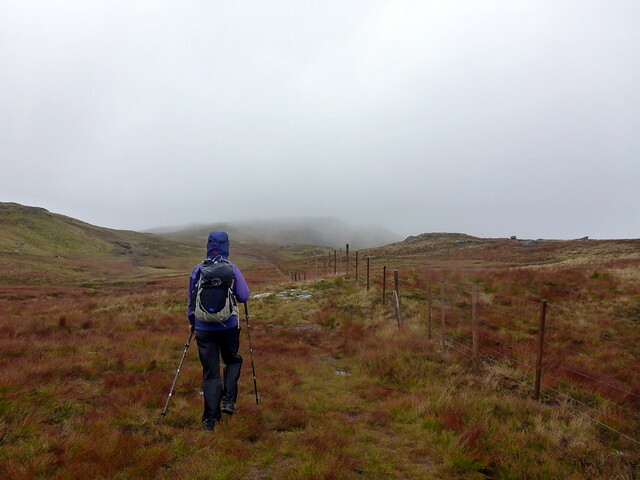 We met up with another couple who were heading back to Dalrigh but had lost the path back from Dubhchraig. 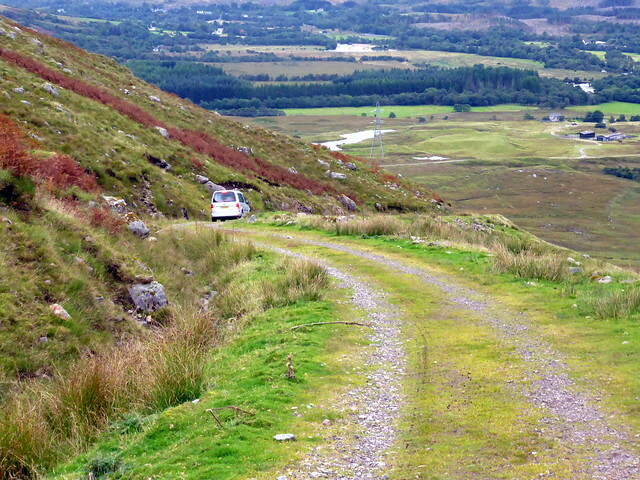 We dropped down the northern shoulder of the hill, heading for Cononish and the firmness of the track back to the car. Quite a tiring day but enjoyable none the less. No snoring sheep tonight, just rain. One of the mildly annoying things about the hills SK has left is the number of single hills. 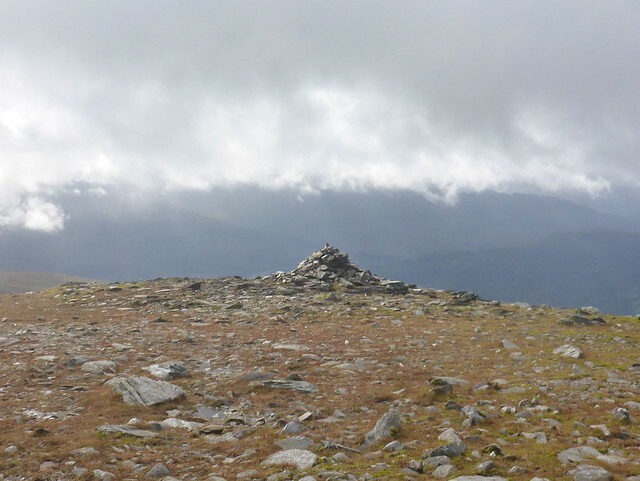 I had looked at linking BeinnChallum with Meall Glas but although the summits are only about 2km apart, the terrain between does not look favourable to such exploits. 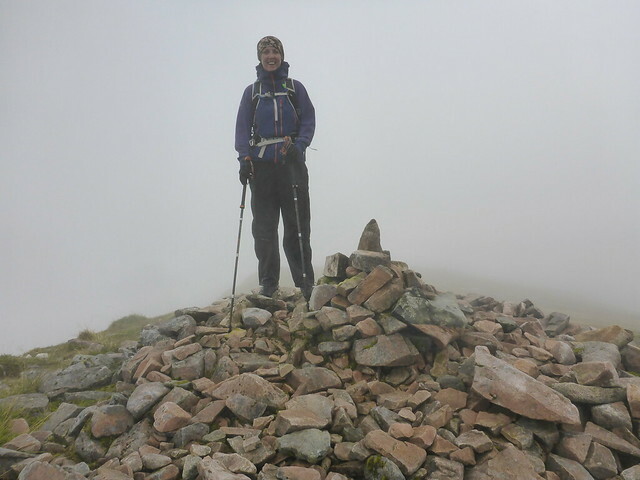 We had gone up Challum back in early March but only made it to the 997m top due to snow and whiteout, so it was galling to have to trudge up the boggy ramparts of this "godforsaken hill" as Allison put it again. 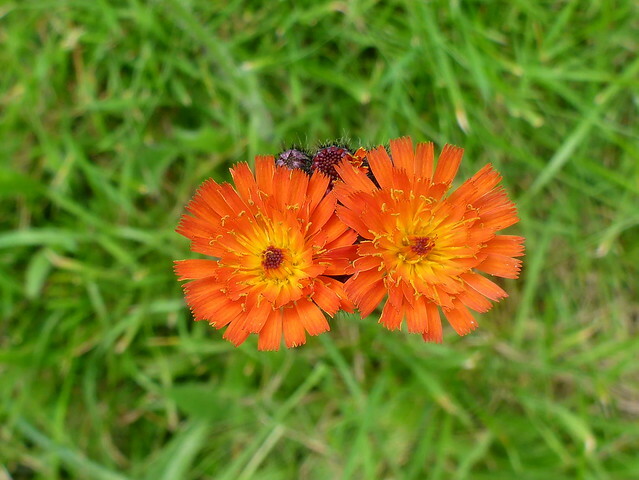 In bad weather. Actually, it was dryish as we started off, looking at the new notices at the graveyard of early medieval inscribed stones found there, including one that looks as if it's a depiction of Grendel's arm as hewn off by Beowulf. 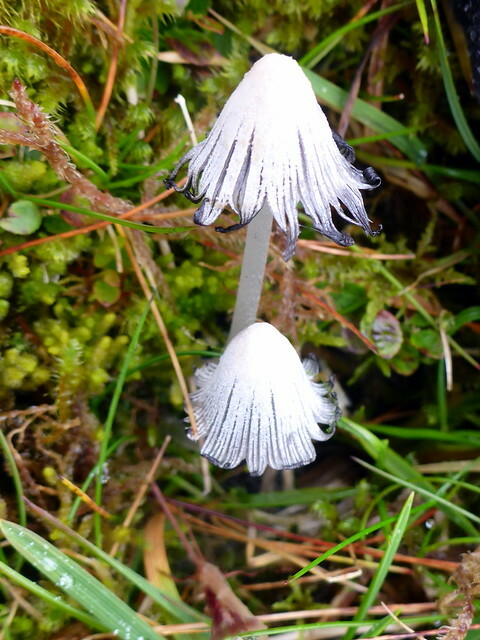 The stones themselves have been hidden under turf for protection. So I survived another trip to the Mountain of Peril and Allison's now down to 15 to go. But 9 of those are single hills, so it will take longer than it sounds to get them done.